There's still time for one last triathlon in 2016. Swim, bike, run... and relax. 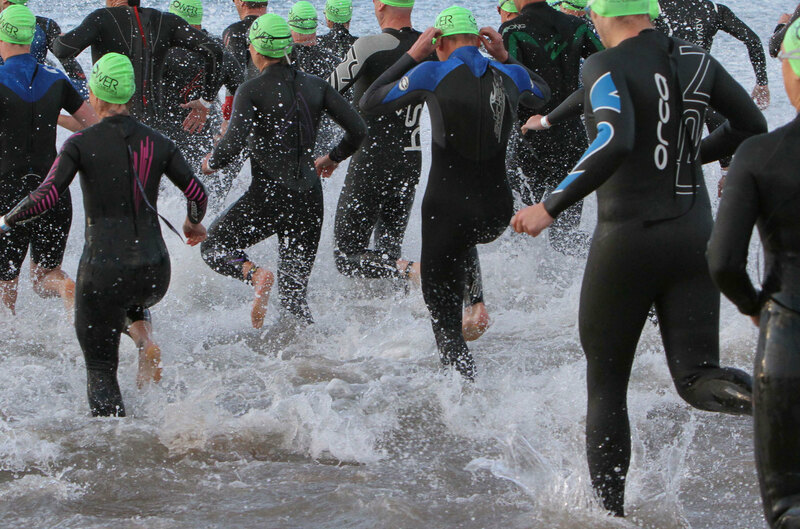 The Gower Triathlon is set in the beautiful bay of Port Eynon. With sheltered blue flag water for the swim, the bike course and the run taking in parts of the award winning beach, this is an amazing way to finish off the season. Back for 2016!! The super successful Saturday morning beach triathlons on Boscombe seafront. Now a series of 3 races over the Summer season. Sprint and super sprint distances. Perfect for novices looking for their first race and great for athletes wanting to keep sharp mid season! Trendy beach front setting at the Boscombe Surf Reef. Scenic Olympic distance triathlon with a swim in a beautiful fresh water private lake – Lake 62 – set in the Cotswolds, a 2 lap cycle route which is fairly flat with a couple of gentle sloping inclines and takes in some fantastic scenery around the Cotswolds, and a spectator-friendly off-road lakeside run. Two triathlon events – the ‘first' (in April) and the ‘last' of the season, from Lydney Leisure Centre in the Forest of Dean. A great event for beginners wanting to try the sport for the first time, or for more experienced athletes looking to start the season off with a short and friendly race. Pool swim. Novice-friendly pool-based sprint triathlon from Epworth Leisure Centre. The bike leg takes you around the flat country side around Epworth, the run will be a one lap course taking in quiet country roads and footpaths. If you entered the early season event, you have everything to aim for!! !